Seeking Hotels in Quesnel, BC with a Fitness Centre, On-Site Restaurant and Business Centre? The Tower Inn offers every feature and amenity you would ever need when visiting the North Cariboo city of Quesnel. When staying with us, you will have everything at your fingertips, not to mention the convenience of being steps away from major shopping opportunities, restaurants, bars, attractions and more. We are proud of our on-site restaurant. The establishment is adored by the local community, and was named after the famous Judge Begbie dating back to the historic Gold Rush days. The bistro features historic artifacts from the 1800's, comfortable seating for up to 70 people and a tastebud-tingling full menu for breakfast, lunch and dinner. Get ready to curb those hunger pangs! We are your ideal hotel in Quesnel if you require space for your upcoming event. Whether large or small, our elegant Banquet Room can accommodate up to100 people and offers several different options for your preferred setup. Our Board Room accommodates up to 15 people comfortably. It is quite, private and has wireless Internet readily available. 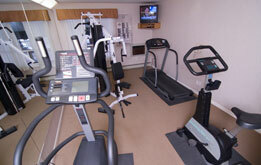 When you stay at our hotel in Quesnel, you can keep up your regular fitness routine without an interruption. Our fully equipped fitness centre is complete with four separate cardio machines, a water station, fresh towels, showers and a TV. All of our guests have access to our business centre complete with two computers, internet access and printer. It is open 24 hours a day and if you wish to fax or photocopy any documents, speak to our friendly front desk team about our services. 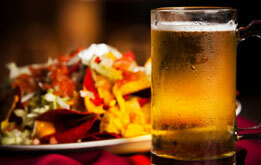 The Tower Inn is an excellent choice when traveling to Quesnel on business or when holding a meeting. Choose the Tower Inn when you are looking for hotels in Quesnel, BC. Contact us today for discounts, packages, group deals and more.